W‑30 LCD Replacement DIY - A $30 (USD) LCD replacement. Stop that whining banshee from Hell!!! Updated All Roland Support File Links ‑ Roland Corp U.S. perpetually changes their download links. BLAH! 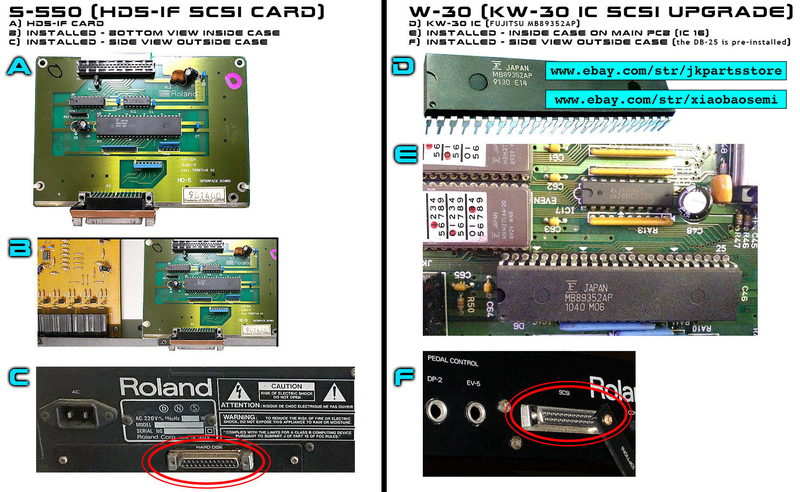 S-550 EXT CTRL Port ‑ Problems with Mouse and RC-100 control... A "must-read" for all S-550 owners! Spare Parts Cross Reference Chart ‑ The SEARCH is on! W‑30 External CD-ROM ‑ Connecting an external CD‑ROM. Wow! Endless Menus! NICE!!! The S‑50 / S‑330 / S‑550 / W‑30 Homepage Goes Live!